LAUP is a series of procedures and office visits where the doctor reshapes the uvula in order to stop loud and habitual snoring. 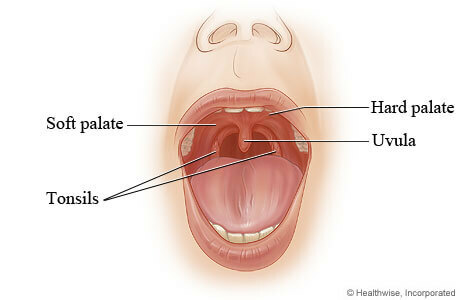 The uvula hangs across your tongue in the back of the mouth. It’s a soft fleshy tissue that is considered part of your soft palate. When you swallow, the uvula creates a barrier in your nasal passage in order to help guide the food in your mouth down your throat. The uvula is said to be one of the main culprits in causing snoring. When the uvula is inflamed, it can actually restrict the flow of air down into your lungs. 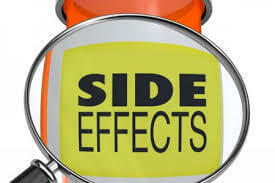 Many medications have side effects when used. The uvula can become swollen as one of these side effects. Sometimes tobacco and marijuana use can irritate the uvula as well. While inhaling either of these, the smoke passes down the air passageway and can irritate the uvula along the way. Not drinking enough water or fluids is said to irritate the uvula and cause it to become inflamed. Excessive alcohol consumption, which then leads to dehydration, can also cause inflammation in the uvula. Any kind of inflammation in the throat, near the soft palate, or uvula typically results in excessive snoring since inflammation blocks the flow of air. 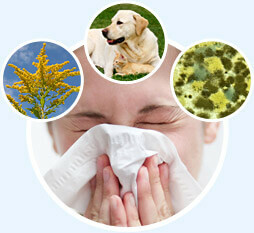 Many people nowadays experience allergies to food, the environment, and dust. When you are allergic to something and consume it or inhale it, it is going to effect your uvula since it’s located in the back of the mouth. Once the uvula becomes inflamed, it will start to block your air passageway and snoring will most likely occur during your sleep. When an airway blockage occurs, the air vibrates off the soft tissues in the back of your mouth and causes the loud sound of snoring. Many doctors prefer to remove the uvula completely so that it can no longer block the airway, thus eliminating snoring. This is the LAUP. It is an outpatient procedure that does not require overnight care in a hospital. The LAUP is done to enlarge the oropharyngeal airway. The actual LAUP requires multiple visits to your doctor’s office. Depending on the patient, you may need the LAUP treatment three to five times in order for snoring to stop completely. Each treatment takes roughly 35 minutes. Part or all of your uvula is removed from the back of your throat by a high-intensity laser. Parts of the uvula are removed during multiple visits, depending on the experience of the doctor, or it can all be removed at once. Are you awake during a Uvulopalatoplasty? Patients remain awake during the LAUP and are given local anesthetic. Most people are not entirely sedated during this procedure because local anesthesia will numb the entire back of the mouth and throat. Depending on the patient and doctor, the uvula may be completely amputated during the first visit, with remaining visits used to carve away more of the soft palate tissues, or the uvula will be amputated bit by bit over the visits. Either way, the goal of the surgery is to eliminate the uvula completely and treat the surrounding soft palate tissues so that snoring will no longer occur afterwards. 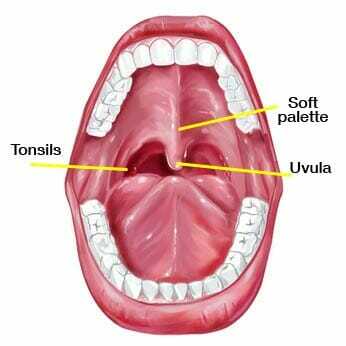 The uvula is a very sensitive tissue in the back of your throat and can be quite painful. Most patients are given pain medicines before the procedure and are instructed to remain taking them for 1-2 weeks after the treatment. The recovery time for an LAUP is very manageable. Most doctors will have you in for the procedure for roughly thirty minutes or so, followed by a post-op for 1-2 hours or sometimes less. Usually the patient will have a severe sore throat up to a week after their visit. The sore throat will occur after each treatment as well. Your speech is usually not impacted by the procedures, however you may be inclined not to strain your voice during the day of your appointment. Some doctors do not promote a Uvulopalatoplasty because they believe it will actually have adverse effects on the patient. A few of their concerns are listed below. Some doctors believe that the laser used in an LAUP actually causes damage to the throat and mouth. Palatal fibrosis is the scarring and thickening of your soft palate tissues. The laser beams are very powerful in this procedure and may cause scar tissue to actually block part of the airway. If the point of the procedure in the first place is to clear the airway and keep the uvula from blocking it, but the side effect of the procedure may create scar tissue to then block the airway again, seems counterproductive. This is only speculation by certain doctors, however. If palatal fibrosis occurs, this can actually start to block the airway and cause sleep apnea. Some doctors claim that a Uvulopalatoplasty is actually medically induced sleep apnea. An LAUP is not the only type of surgical procedure that can stop snoring. There are several other invasive and noninvasive procedures that can be done in an attempt to stop snoring once and for all. A somnoplasty is a popular treatment for snoring. It involves a series of doctors visits where heat generated energy actually creates scar tissue in the soft palate, making it more tough and hard. When the soft palate tissues are hard, the vibration of air does not occur in the back of the throat, thus eliminating and preventing snoring from occurring. The pillar procedure is a simple non-invasive procedure where tiny implants are actually placed under the surface of your soft palate. They provide a hardening support in the soft palate that deters the palate from vibrating when the airway is blocked. The vibrating noises start when the fatty tissues of the soft palate vibrate, so with the implants in place, the vibration is not able to occur. This results in the stopping of your snoring. Whichever type of procedure you and your doctor end up deciding on, make sure you weigh all of your options carefully. In the end, the importance of undergoing a surgical treatment to stop snoring is to, well, completely stop the snoring. Choose the procedure that is the most effective at stopping your snoring once and for all. Next post: Nose Vents, Nasal Cones, and Nasal Dilators – Do They all Stop Snoring? Previous post: CPAP Machine vs Oral Appliance Mandibular Advancement Devices – Which is Better?